Patented waffle foam face produces beautiful swirl-free finishes. 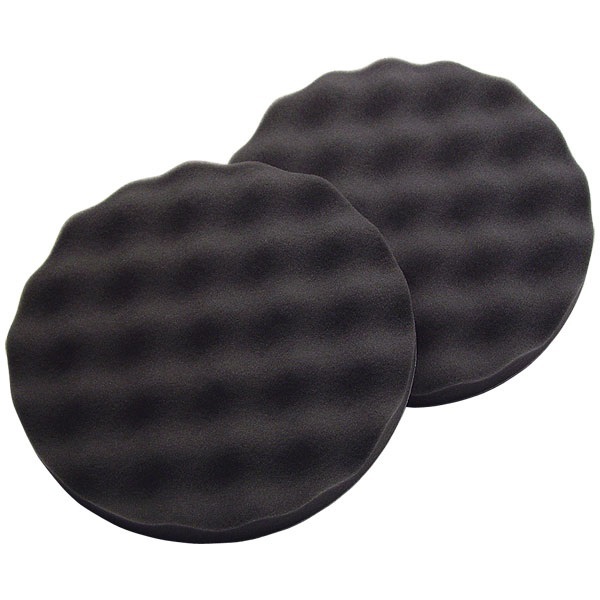 White compounding pad removes fine scratches while black polishing pad eliminates swirl marks leaving a mark-free finish. 8" diameter pads have a hook & loop backing. Use with 7" backing plate (#SM-69-071). Made in USA.